This is our Cut and Wrap sheet, you may grind any cut and make changes as necessary. Limousin Cattle are originally from France, they are know for their lean yet flavorful and tender meat. We have chosen them as our primary beef for their ability to convert feed into red meat. All of our beef are finished on free choice local corn silage and grain two times a day, and alfalfa from Eastern Washington that is available 24/7. No hormones or antibiotics are a part of our program. Animals are typically 17-18 months old at time of butcher. We currently sell Locker beef that is processed at Silvana Meats, our fee is a reasonable $3.99/lb hanging weight (this includes cut/wrap/butcher fees). A quarter beef typically weighs 220-250 lbs. We have a custom cut and wrap sheet to make all your selections of the different cuts of the quarter. You will get approximately 40-50lbs of ground beef with a variety of cuts ranging from Rib steaks, Chuck Steaks or roasts, arm roast, short ribs or Maui ribs, London Broil, Stir fry, Flank steak, sirloin tip, stew meat, brisket etc…. Most people order a quarter beef which will yield about 5-6cubic feet of beef to take home. 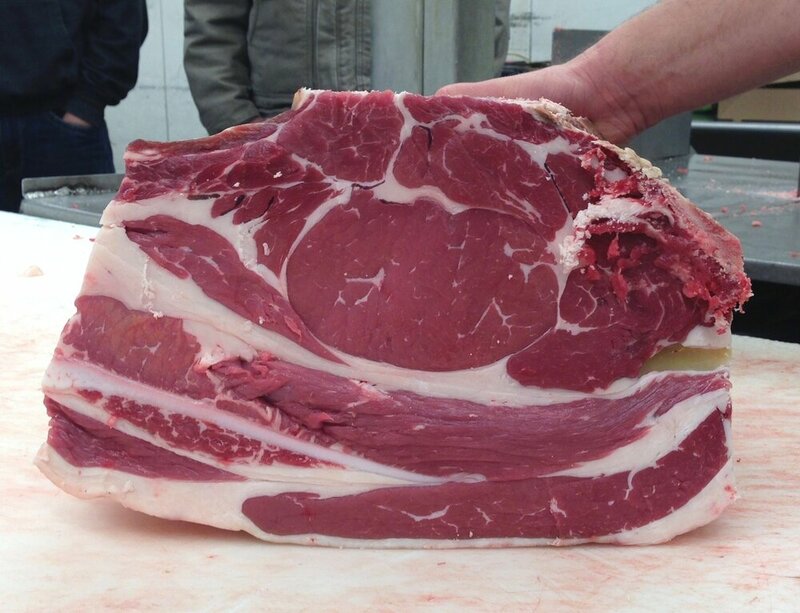 We’ve had some customers take 1-2 whole beef and split it up among their family. Our beef will typically grade “Choice”. The beef is dry aged a minimum of two weeks and sometimes longer. We can assure the meat you pick up is our beef and the beef you ordered due to the conscientious staff at Silvana Meats. We take pride in providing an excellent product for you and your family. Thank you for considering us for your beef needs.